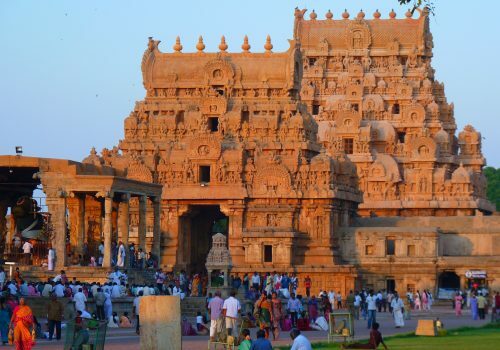 Step off the beaten track and explore some of the extraordinary temples in Southern India. Travelling from Mahabalipuram to Pondicherry and beyond, you’ll discover many of the holy landmarks of India. As well as Hindu temples you’ll see early modern French colonial architecture, India’s oldest synagogue and you’ll sail the Backwaters of Kerala. You’ll be accompanied by a knowledgeable driver throughout your trip. Your driver will meet you at Chennai airport and transfer you to your hotel. This morning your guide will take you on a tour of Mahabalipuram. You’ll see many ancient temples and the iconic rock relief, Descent of the Ganges. Today you’ll be driven to Pondicherry, a settlement established by the French before the notorious arrival of the British. You can ask to stop off to see some sights along the way. You’ll be taken on a guided tour of Pondicherry. The colonial architecture is very striking. In the French Quarter you’ll see strong French influences in the architecture. On the way to Tanjore you’ll see many temples, including Great Living Chola Temples and the 11th-century Brihadisvara Temple. Today you’ll visit Trichy, an ancient Tamil city full of sacred sites. 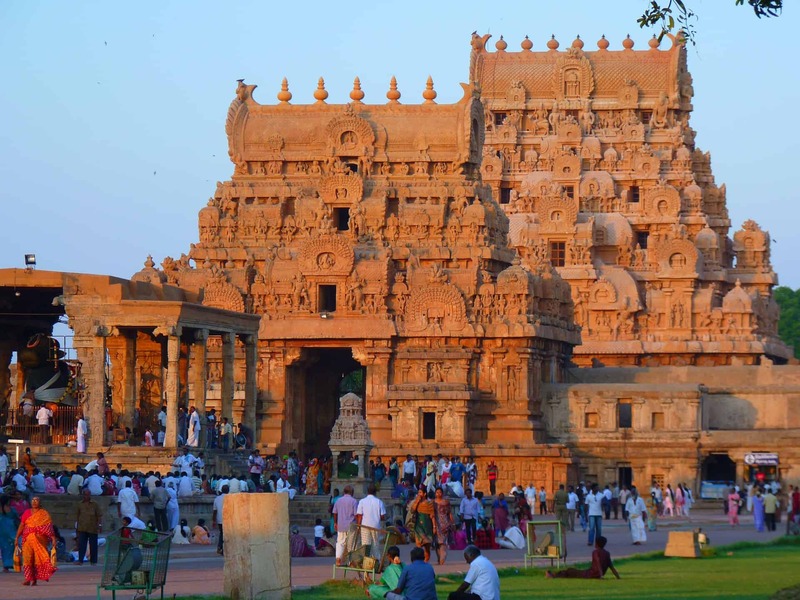 These include Ucchi Pillayar Temple, a 7th century Hindu temple built on a rock, and Ranganathaswamy Temple which you can visit but never pronounce. You’ll be driven to Madurai where you’ll be joining the pilgrims lining up at Sri Meenakshi Temple on the Vaigai River. There are many great reliefs outside the temple. Inside you’ll see paintings that describe the of the temples’ history. Today you’ll embark on a rickshaw tour of Madurai. You’ll see the Gandhi Memorial, the Alagarkoil Temple and rest on the banks of the Vaigai River. Your driver will be taking you to the state of Kerala. The scenic drive will take about half a day. There will be plenty of opportunities to stop off at little villages along the way. Evening at leisure. Today you’ll be exploring the Backwaters in Kerala, a network of 5 lakes and 38 rivers. You’ll be able to stop and explore the most eye-catching bits – this is a very scenic drive. You’ll be driven to the city of Kochi. You can visit Paradesi Synagogue, built in 1567, it is the oldest synagogue in India. In the afternoon you’ll be setting out on a cruise down the Backwaters of Alleppey. In the evening you can watch a traditional Kathakali dance show. Enjoy a day at leisure in Kochi and unwind after your temple hopping adventure. You’ll be transfered to Cochin International Airport for your return flight.